I *knew* you would say that! Ah, and like your choices Wand, Harnoncourt, and Giulini were shocking! However, the Bernstein intrigues me. and the Furtwängler set Bogey posted, only I seem to have misplaced it . Good question. Don't really know. 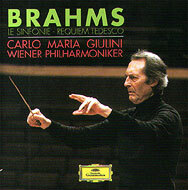 I do like other Brahms cycles (Wand, Abbado, etc) but for some reason I always come back to Mackerras. Maybe its the reduced instrumentation that I like. Gives the music a less heavy feel which is appealing to me. It would be easy enough to pick up a cycle, but I never have. Maybe I should. How's the Wand? Anyone? You should ask her next time you see her! I deserve the best! These cycles represent an extremely wide spectrum of interpretive approaches while all being very stylish and idiomatic. 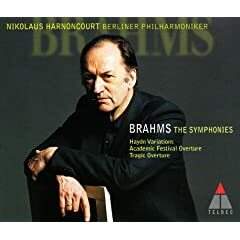 I would have loved to include the Mackerras set, I think the concept is great, after all, Brahms liked to have his symphonies performed by a really small orchestra. I have been to the theater in Meiningen where several of his major works were performed with such a small band under Bülow. It is a really small theater and I find the idea intriguing to hear this music in an intimate setting with lean, transparent sounds. However, I don't find this set to be very successful in the execution of that idea. The orchestra does not have the eloquence of phrasing and the sense of flexible timing needed for this music. Harnoncourt does much better, although the forces he uses aren't quite that small. They were rather "medium" sized. 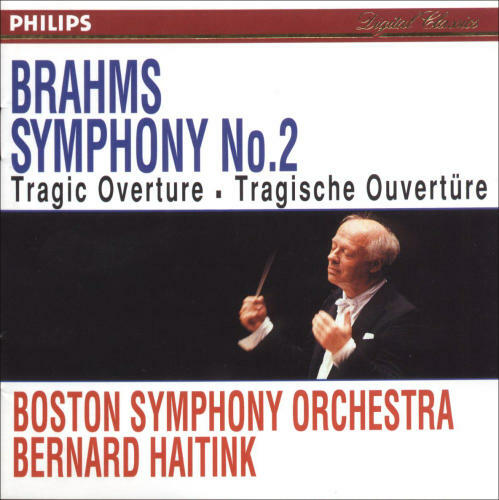 I heard the performances live when they recorded that, it was incredibly interesting to hear the BP play like that only a few years after I had heard them play the Brahms symphonies in widescreen sound under Karajan. Which in itself was very impressive, too. And the orchestra really audibly enjoyed "rediscovering" the music in that way. Mackerras is, unfortunately, more a dry exercise of a good idea. There is also a set with the Chamber Orchestra of Europe and Berglund which I have but somehow never got around to listening to. Seconded. Hard to beat as "hip" or "near-hip" versions go. 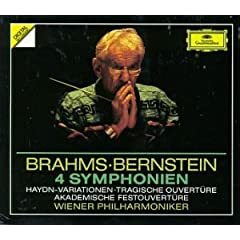 Bruno Walter, Columbia Symphony, now on Sony, is very strong on all four. I do prefer Reiner, Royal Philharmonic, for Symphony No. 4. I would put Karajan's 60's cycle on top (especially the 4th) and 80's cycle second. The second cycle has it's amazing moments, but suffers from poor recording, I find the brass and winds too recessed. There are many cycles that I find satisfying in their way, I'd say the Kertesz/VPO cycle is the finest. 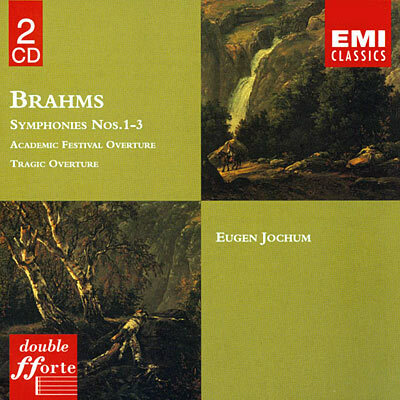 Jochum's cycle in EMI is thrilling but driven too hard, IMO. His old MONO cycle on DG is also brilliant. 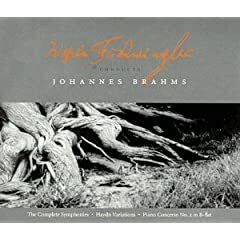 I was thinking of making a thread about Brahms cycles, to see if I'm missing any great ones. 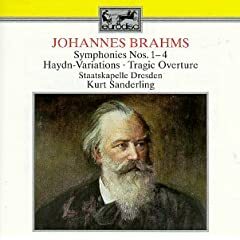 I have a "thing" for collecting good Brahms symphony cycles, adoring the Brahms symphonies as I do! 1. Furtwangler/VPO, BPO (EMI) - No contest. 3. Karajan/BPO (DG) - The 70's cycle; if the unavailable 60's cycle was around, I might have put it in its place, from what I've heard about it. 6. Walter/NYPO (United Archives) - And Sony, apparently. 7. Wand/NDR Hamburg Symphony Orchestra (RCA) - His penultimate cycle. 10. Custom cycle (Various) - Ok, I cheated. 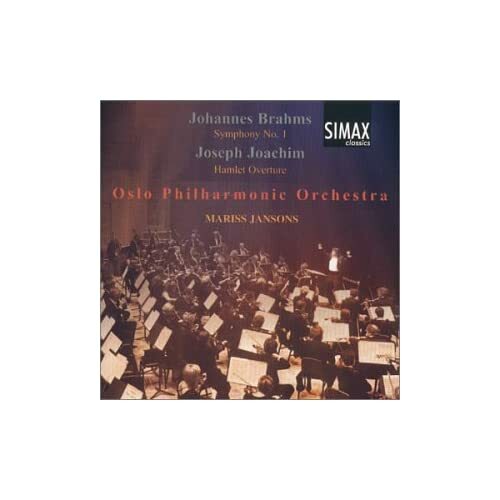 1st Symphony, Karajan/BPO (DG) - The only part of the 60's cycle I have, bundled with the Schumann 1st. Honourable Mention: Karajan/BPO (DG) - The amalgam of the 70's and 80's cycle, part of the Karajan Edition; I left it out because of already having one Karajan cycle in the list. 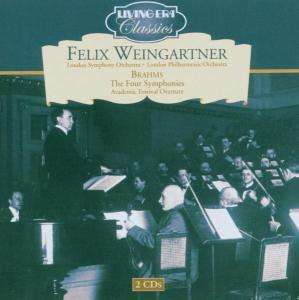 Good cycles left out deliberately are the Klemperer, which I never warmed to, and the Weingartner, because I've never heard a "listenable" transfer of that otherwise excellent cycle. Oh, and, for the ultimate (in my opinion) performance of the Academic Festival Overture, check out Willem Mengelberg and the Concertgebouw Orchestra, on Naxos. P.S. : Oh, looks like DarkAngel did the "custom cycle" thing, too. I feel less guilty, now. 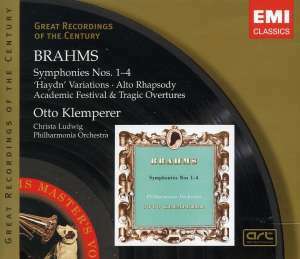 That EMI-set (I have it myself) misses two superb FW/Brahms recordings: the 1st Hamburg '51 and the 4th BPO '44. Recommended! 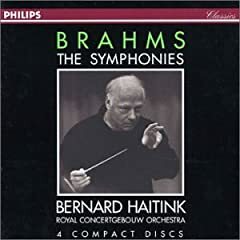 I have Haitink with the LSO (LSO Live), Marriner with the ASMF (Hanssler), and Rahbari with the Brussels Belgian Radio & TV Philharmonic Orchestra (Naxos).